If you’re looking online to book your next cruise, then don’t be surprised if your head is spinning a little bit. Think of all the options you have to consider — the length of your trip, the cruise line, the ship, the date, ports of call, and more. And that’s before you even decide on where to book your cruise. Cruising is big business, and that’s why you have dozens of websites at your disposal, all competing for your travel dollars. From the major cruise line websites like Carnival.com to major travel portals such as Orbitz or Expedia to lesser-known sites that specialize in cruises like Seahub.com, it can seem like your options are nearly unlimited… and overwhelming. To help you out, we detailed the pros and cons of the best websites to book your cruise below. Before we get too far, however, there’s something you should know about price shopping for cruises online. If you are worried about finding the best price for your cruise, there’s some good news and bad news. The good news is that prices for cruises are usually the exact same across every single website you search. As you can see, they all have the exact same rates. The bad news? If you’re a deal-hunter, there isn’t some magic website that has cruise fares for dramatically cheaper than everyone else (that we’ve ever found). But there are differences on where you book. So should you just find any random site and book your cruise? We’d suggest not. Below we lay out the advantages and disadvantage of booking with each different type of website. It used to be that if you wanted to book a cruise, you’d visit a travel agent or call up the cruise line. You can still take those routes, but the cruise line websites make it simple to book your trip. to book online and do everything from find a cruise to make upgrades, to pay for the trip. In other words, you can book your spot on the ship completely online at any time of the day. Advantages: The good thing about booking directly through the cruise line then there is no third-party company to deal with should there be an issue with your trip. Want to make a change or get a refund? You don’t have to worry about any sort of mix-up between the cruise line and another website. While this is rarely an issue, it could happen. Disadvantages: The main drawback of using a cruise line website? It’s like going to a buffet and restricting yourself to only the salad bar. Cruise line websites are only going to have cruises from that line, so you are limiting your options of prices, ships, dates, and itineraries. If you are loyal to one specific cruise line, then that’s ok for you. But if you want to see all your options, it’s better to do a search on an “aggregator” website that will search all the cruise lines for that perfect vacation. Just like searching for a hotel room, you can search these websites for a cruise. Advantages: There are two main advantages to using an aggregator website. First, they allow you to search across every cruise line. So if you want to sail from Miami, you’ll see all the options from every cruise line. That gives you a better chance of finding something that matches your budget and schedule versus just searching one cruise line. In addition, while aggregator websites will almost always have the same prices you’ll find everywhere else, they often offer perks you won’t find on the cruise lines websites. For instance, a cruise might be priced the same as another website, but will have an offer of free onboard credit as an incentive to book through them. These perks usually aren’t huge, but are a nice to have. Disadvantages: The only drawback is that booking through third-party websites introduce a “middle man” into your cruise booking. The vast majority of the time that creates no issue. However, if there is a reason where you need to change your booking or get a refund, then it could be a little more complicated than booking directly through the cruise line. So should you use aggregator sites? Absolutely. They are the first place you should look for a cruise. Smart cruise shoppers use them to look at all their options and see what sort of incentives they have for booking through their site. In addition to the large cruise aggregators, there are a number of smaller websites focused solely on cruises. These websites are similar to the large aggregator websites in that they typically offer the same prices anywhere else you’ll search but can offer incentives to book. Advantages: Like the larger aggregators, the niche booking websites offer the ability to search across multiple cruise lines to see all of your options. As well, many of these sites also offer their own special incentives such as onboard credit, free gratuities, free spa treatments or low deposits. In addition, these sites feature their phone number prominently for those who wish to talk to a person about their reservation. You don’t find that with the large aggregation websites. 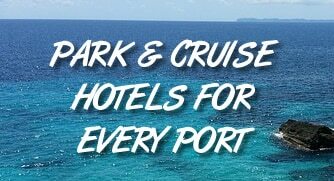 Disadvantages: While booking through these sites is largely the same as through the cruise line or an aggregator, we’ve found the incentives to be confusing. For instance, one recent search promoted free gratuities on trips booked through the site, but we couldn’t find any mention of this once we actually started the booking process. Digging further, the incentive applied only to certain cruises, despite being heavily promoted. Are you a Costco member? If so, then you can book cruises online through the store. In fact, the offers are good enough that it’s usually worth it to become a member for a year just to book a cruise. Advantages: Costco is well-known for its low prices, great deals, and customer service. Buying a cruise through the store might not enter many people’s minds, but it can save you big. Like other cruise-buying websites, Costco offers rates that are the same as what you’ll find anywhere else. However, the big difference is that Costco offers special incentives to book through their site. While the deals change from day to day on aggregator websites, Costco’s incentives are simple and straightforward. If you book through them, then they offer Costco Cash Cards — essentially a gift card to Costco. The amounts can be high as well. For example, we found a cruise offering a $45 Costco Cash Card for booking the cheapest stateroom for just $409. In other words, it’s like getting about 11% off the price of your cruise. The cash increases substantially with upgraded cabins. Disadvantages: First, sometimes Costco has higher fares than what’s found on other sites. If booking a high-grade cabin (which usually has a higher incentive) then the incentive usually covers the price difference. You may not come out ahead if paying more for an interior room. While booking through Costco is booking through a third-party, the store has a strong reputation for customer service should anything go wrong. In fact, the only real disadvantage we see is that you need to be a member of Costco to book. An annual membership costs $60. In addition, the Costco Cash Cards are only valid at the store. It’s not the same as actual cash. That said, given the large incentives offered through the store, it’s one of the best deals for booking a cruise online. If you are a Costco member and choosing a balcony cabin or more, then we suggest CostcoTravel.com as the best website to book a cruise. It’s the largest and simplest incentive we’ve seen for booking online. If you aren’t a Costco member and don’t want to join, then we suggest looking first at the large aggregation sites like Orbitz or Seahub.com to search all your options and find the cruise you want. If the sites offer a good incentive for booking through them, then know that you’ve found a good deal. If the incentive isn’t that strong or you don’t want to go through a third-party to your reservation, then booking directly through the cruise line is your best bet. you didn’t mention booking through credit card companies. For instance, you can earn points for booking your cruise through Capital One, or, if you have discover you can earn 5% cash back through booking a cruise. Also, There are a few other sites such as Sears or Shop Your Way where you can book vacations. It’s not just going to the travel aggregator sites. if you can’t find a lower price, at least you can get a discount through these card companies. If you have the card that is. Why no mention of “www.Vacationstogo” ? I booked many at a reduces price on their website. What about booking thru an independant, or franchise, agent? ONLY an indepent person is able to/allowed to give you back some of their commission. Most often as OBC – but heck $100 of OBC pays your gratuities. fyi: There are THOURSANDS of agents that have the SAME inventory as Cruises Only. ALL under the World Travel Holding Umbrella.